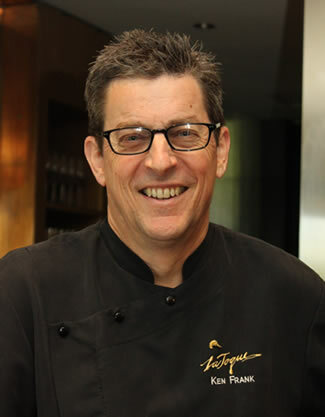 Chef Ken Frank’s landmark restaurant, La Toque has earned a Michelin Star every year they have been awarded in Wine Country. We are also the recipient of Wine Spectator’s highest honor, The Grand Award, for our wine list and service excellence. Pairing wine and food is our passion. The pairings on our menus are considered by many to be the ultimate food and wine experience. Our culinary team and Sommeliers taste together daily, constantly exploring, looking for combinations that elevate both the food and wine, creating harmony. Our commitment to the finest ingredients drives everything we do. We are fortunate to be part of a vibrant local food community, an amazing network of dedicated farmers and purveyors supplying the delicious products we prepare for you. The menu evolves continually to highlight seasonal ingredients at their peak. We offer three different menus nightly at La Toque. The Core Menu, where you can make your own selections from a list of savory dishes and desserts creating your own 4 or 5 Course Menu. Or choose the Vegetable Tasting Menu of five savory courses and two desserts. And for the ultimate La Toque experience, put yourself in Chef’s hands and go with The Chef’s Table Tasting Menu, a pre-selected menu of nine courses including 6 savory dishes, cheese, and two desserts. We will happily accommodate any valid, health-threatening dietary restrictions with sufficient advance notice. Absolutely! Dietary requests are happily accommodated with at least 72 hours notice. Please let us know if any guests in your party have any dietary restrictions or allergies by completing the short questionnaire received via email after you complete the booking on Tock. If you are reserving less than three days in advance, please call the restaurant directly before you confirm. We take great care to prevent cross-contamination in our kitchen. However, we strongly caution diners with extreme allergies to be aware that common allergens are used throughout our kitchen in close proximity to other ingredients. How much time should I plan for dinner? In order to offer the best dining experience to our guests, we allow a generous window of time for each reservation. The dining experience at La Toque is set at a leisurely pace and varies depending on the tasting menu chosen. Parties of 1-4 are allotted 2 hours 45 minutes, parties of 5 or more are allotted 3 hours 30 minutes. We pace reservations according to these standards. If you feel your party would enjoy a longer table time, we encourage you to book at 7PM or later, and to make note of this preference when making your reservation. We will do our best to accommodate your request. We carefully pace our tables each evening to ensure that we have time to take great care of all of our guests. In order to ensure the best experience for everyone, please note we will hold your reservation for a grace period of fifteen minutes. Complete parties not arriving within 15 minutes of the reservation time may forfeit their time slot and we will do our best to seat you in the next available slot. As a courtesy to your fellow guests, please plan accordingly in order to arrive on time for your visit. Can I make dinner reservations for groups larger than 8 guests? Yes, we do have a waitlist for reservations. You may add your name via Tock. Our Reservations Team will contact you regarding confirmation of booking, allergies/dietary restrictions, and any special arrangements you would like us to make for you. If you are booking less than three days in advance, our team may not be able to get in touch ahead of your visit. Please feel free to call us should you have any questions or concerns. All reservations require a deposit at the time of booking. The full amount will be applied to your bill. If you need to cancel or reschedule your reservation, please call the restaurant directly. Cancellations made for any reason within 72 hours of the reservation date/time are ineligible for a refund. However, we will be happy to work with you to reschedule your visit. Please note- unfortunately, there can be no refund for reductions in party size at any time, however, the full deposit amount will still be deducted from your final check upon completion of dinner. No-showing will void your booking. We staff appropriately and specifically prepare food in advance for every guest dining with us. In the event that you do not show for your reservation your booking will be void and no refund will be issued. We are happy to accept walk-in reservations at any time, depending on availability. We strongly recommend making a prior reservation to avoid disappointment. However, even when we are fully booked, tables may become available at the last minute. Please be aware that you will have 7 minutes to complete the transaction once a reservation slot is selected. If you exceed the allotted time you will be signed out and the tickets will be released back into our system for other guests to purchase. In consideration of other guests’ comfort, dining with very young children is discouraged. The La Toque dining experience spans multiple hours- with that in mind, if the child(ren) can maintain decorum for the duration of dinner they are more than welcome. All guests, including children, require a reserved seat. Please note that we do not allow any audible electronic devices in the dining room. La Toque is one of 91 restaurants in the world to receive The Wine Spectator’s highest honor, The Grand Award, for our wine list and service excellence. Our extensive wine list boasts more than 2,300 selections focusing on rare library wines of California and other great wine producing regions. Pairing wine and food is our passion. The pairings on our menus are considered by many to be the ultimate food and wine experience. Our culinary team and Sommeliers taste together daily, constantly exploring, looking for combinations that elevate both the food and wine, creating harmony. If you would like to bring wine from your personal collection, we will gladly open and serve your wine for a $40 per 750ml bottle corkage fee with a maximum of four bottles per table. We will also gladly waive one corkage fee for each bottle you purchase. Please note that we are not allowed to serve any bottles that have been opened prior to arrival at the restaurant, and no outside liquor or beer is permitted on our premises. La Toque is a modern elegant restaurant. Accordingly, we encourage our guests to dress up for the occasion, though we do not require a jacket or a tie. Out of respect for our well-dressed clientele, we reserve the right to refuse to seat guests who arrive under dressed; in shorts, flip-flops, ballcaps, tacky T shirts, hoodies, swim suits, and other apparel we deem inappropriate in a fine restaurant. In these cases, we will honor your deposit in our casual sister restaurant, BANK Café and Bar in the hotel lobby. We offer complimentary valet parking in the Westin Verasa Hotel’s garage. To utilize this service please pull up to the front of the hotel. Plenty of free street parking is also available. Ride services such as Uber and Lyft are consistently available in Napa Valley. There are also a handful of local cab companies. Yes! The Westin Verasa has a dedicated electric vehicle charging area located in their garage. Please note that the garage is not self-park, so you must use the complimentary valet service in order to utilize this free service. Are pets allowed at La Toque? Per California Health Code laws pets are not permitted in any restaurant spaces. We welcome ADA-protected service animals; please note that emotional support animals do not qualify as service animals and are not protected under California ADA-protection laws. Service animals must wear their government-issued vests when in the restaurant. Scot Livingston was born and raised in Michigan. His earliest food memories date back to time spent with his grandparents on their dairy farm. Many of his dishes today are inspired by this early introduction to the freshest possible produce picked at the peak of ripeness. In 2002, Livingston relocated to California to attend Le Cordon Bleu in Pasadena. He had every intention of returning home after graduation, however, it only took one mild winter for him to realize he would be making California his permanent home. After graduating from culinary school, Livingston accepted a position at the Ritz Carlton in Pasadena where he sharpened his kitchen skills for seven years before heading to the beach, taking a job as sous chef at Studio at Montage resort in Laguna Beach. In 2016, Livingston decided to make a change and moved to Napa where he joined Chef Ken Frank’s kitchen at Michelin-starred La Toque where he serves as sous chef. 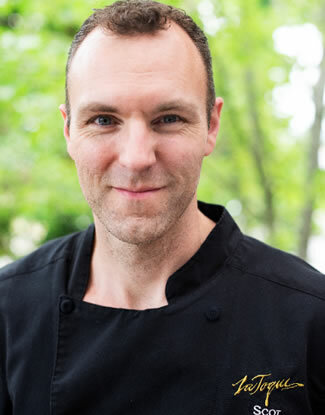 At La Toque, he enjoys creating dishes with Wine Country’s bountiful produce and mentoring younger cooks on the staff. Hayes has been focused on desserts since her childhood. She loves the joy that sweets inspire in people. She came to her Culinary career later than many, after her sister asked, “no matter the training, no matter the pay, what would you really like to do?” The obvious answer was Pastry. With that encouragement, she took a part time job plating desserts at Garibaldi’s in Oakland. When she was quickly offered a full-time position, she gave up her day job and has been baking ever since. 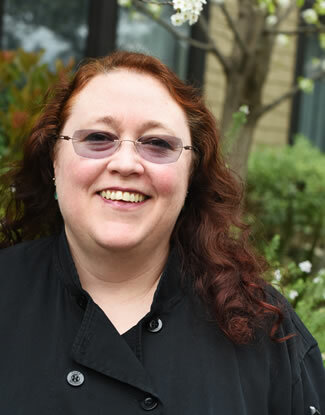 She moved to Napa to work as a Pastry Cook for Julia’s Kitchen at Copia. After Copia closed, she did a stint at Bardessono in Yountville before joining the team at La Toque in 2011. She has been the Pastry Chef since 2016. She is self-taught and a perfectionist, driven by her love of the process, taking pleasure in a shiny meringue, a smooth chocolate mousse or perfectly churned ice cream which gives us pleasure every day. Proving yet again that if you follow your passion, good things will happen, “Mr. Oakes” humbly began his restaurant career making tacos in Houston, Texas. He was drawn to the Bay Area by his love of food and wine. He proceeded to fine-tune his culinary skills as Sous Chef in a number of good kitchens before shifting gears and moving to the front of the house for Bob Klein at Oliveto, in Rockridge. Robert settled in Napa with his family nearly fifteen years ago, working for Etoile Restaurant at Domaine Chandon until he joined La Toque in 2012 as a Server. He quickly worked his way up to Assistant General Manager and then Restaurant Director. Great service begins with the reservation book. Megan Menicucci was in the restaurant business before she got her driver’s license. She’s worked every role in the dining room, ultimately planting her flag at the front door, which is where she shines. Organization and attention to detail are in her DNA, perfectly suiting her position as Reservations and Sales Manager. She makes multitasking with charts, reservation lists, turn times and menu requests look far easier than it really is. If there is a way to make something happen, she will find it, and make sure everyone knows when. Oh, and she really, really loves it when you show up on time. A Chicago native, Richard is La Toque’s Certified “Wine Wrangler”, overseeing the purchase, organization and service of the 2100-plus wines on our Wine Spectator Grand Award-winning wine list; and if managing a collection of that size isn’t enough, he also finds the time to participate in almost daily tastings with Chef Ken Frank and the culinary team. Together, they cull wines to pair with every dish on all of Chef’s menus. Richard came on board with La Toque in 2012 and was the driving force behind our first Wine Spectator Grand Award in 2015. 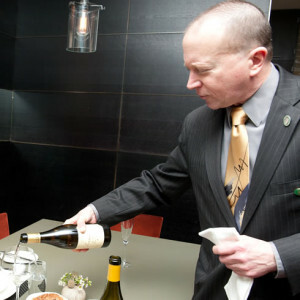 Richard first caught the “wine bug” in 1995 on the opening crew of David Kinch’s Sent Sovi restaurant in Saratoga. Soon after, he began his climb up the Court of Master Sommelier’s ladder, passing his Introductory and Certified Sommelier Levels, achieving the Advanced Level in 2012. He holds certifications as a Specialist of Wine and Specialist of Spirits from the Society of Wine Educators and is on his way to graduating the WSET diploma program. Richard can be found nightly in La Toque, on the floor serving our guests or roaming the cellar, tasting wines, and telling jokes that are drier than a Grand Cru Chablis. Like most of us, Beki has been working in Restaurants since she was barely old enough. Her first experience with great wine came at age 15 when she knocked over a bottle of 1982 Chateau Mouton Rothschild while working at Caesar’s Tahoe. She was serving tables at Outback Steakhouse in Reno when she decided to go to culinary school and study wine. 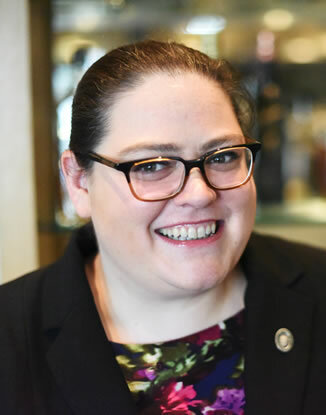 In 2011, she moved to the Bay Area and enrolled in the French Culinary Institute Sommelier program where she graduated at the top of her class and became a Certified Sommelier with the Court of Master Sommeliers. She is a chronic over-achiever and has won a number of prestigious competitions. She earned her Advanced pin from the Court in March 2017. Beki has worked at a number of the Bay Area’s finest restaurants including, Verbena, In Situ and Alexander’s Steakhouse. We talked her into joining our team in 2017. When she’s not helping guests find the perfect bottle of wine, she is also our resident Wagyu beef expert. Her two cats are appropriately named Sassicaia and Tignanello. Thank you for considering La Toque for your special occasion dinner. To ensure a seamless dining experience for your guests, as well the other tables in the restaurant, parties larger than eight are assisted in selecting a set or “semi-set” menu. With our Reservations & Sales Manager as your guide, you will make your selections for a Four Course or Five Course Tasting Menu, or choose our Chef-selected nine-course Chef’s Table Tasting Menu or six-course Vegetable Tasting Menu. If you wish, our Sommeliers will select just the right wine to pair with each dish, bringing years of wine and service experience directly to your table. Their expertly chosen wines and interaction with your guests can make for a truly memorable evening. You can make your wine selections from our Grand Award-winning Wine Cellar as well. The full list is available here, updated in real time; or you can download it from the App Store. We can accommodate groups of up to 12 guests in our main dining room, and up to 45 on our beautiful glass-enclosed, fully heated terrace. For larger groups of up to 240 guests, we offer 12,000 square feet of event space, inside and out, within The Westin Verasa Napa property. Let us create a memorable experience for your next important event. La Toque has long been known for our extravagant All Black Truffle Menus. Every January we feature this special menu with fresh black truffles in every course. January 2019 will mark our 37th year with this special menu. For the past few years, we have been fortunate to enjoy a second “Winter” Truffle season with fresh Australian Black Truffles in June, July, and August. They are every bit as good as the finest European Truffles. The availability of Winter Truffles during our Summer season is particularly exciting as it allows us to cook them with a completely different set of ingredients. We are eagerly awaiting their arrival in early June. We only use truffles from sources we know well and have used for years. We feature three species of fresh Truffles; Tuber magnatum pico, the true white truffle, Tuber melanosporum, the true winter black truffle and occasionally Tuber uncinatum, often referred to as the Summer or Burgundy truffle. Other species just don’t compare, and they’re not worth the money. We do not use truffles native to China or Oregon, although we look forward to the success of American truffle plantations in the next few years. The truffles from the Himalayas are technically truffles, but their flavor pales in comparison to the real thing. Sadly, many people don’t know the difference and are either easily fooled, or worse, mix them in with real truffles to cut costs. We also don’t use “truffle oil”, “truffle cream”, “truffle honey” or “truffle salt” at La Toque. Flavored truffle products are crap, shunned by good chefs who know better. All of these products will desensitize your palate to the true but more subtle flavor of real fresh truffle. Truffles have been savored for millennia but truffle oil is a new phenomenon. It is no coincidence that “truffle oil” appeared only a few decades ago when flavor scientists figured out how to make it in the laboratory with chemicals that mimic the compounds responsible for truffles legendary aroma. If it was possible to produce truffle oil by natural means, the Romans would have figured it out, long ago. You can infuse some fresh truffle flavor into oil or butter, but it doesn’t keep any better than fresh truffles which are best consumed within 10 days of hunting. Because of this very short shelf life, real truffle flavored oil is simply not a viable product. Commercially produced truffle oil is invariably artificially flavored with 2,4 dithiapentane, no matter how fancy the bottle or prestigious the purveyor. It is simply too good to be true. Real “homemade” truffle flavored oil or butter is always subtle in flavor unlike the powerful products sold commercially. That little scrap of “truffle” at the bottom of the jar is often from an inferior species, and in any event, it takes much more than a little crumb of truffle to infuse oil with any amount of flavor. I also recommend that you visit www.simplyflavors.com, and www.truffleandwine.com.au, my favorite and most trusted purveyors of fresh truffles. You can see our truffle menus from previous years by clicking the links below. Gift cards are available for purchase in any dollar amount. Our gift cards can be redeemed at either La Toque Restaurant or BANK Cafe and Bar. You may purchase gift cards at La Toque or BANK Cafe in person or via telephone by calling 707.257.5157. Note: La Toque was named by the Wine Spectator as one of the best 20 restaurants in America in its March 31, 2000 issue. As of Wednesday, March 27th, 2019 reservations for La Toque are available on Tock. Our Reservationist is also available to speak to you in person, daily from 2pm at 707.257.5157. We look forward to serving you!